NOAA Issues Minor Aurora Storm Watch. NOAA estimates the CME or a high speed solar wind stream currently headed towards Earth might produce a Kp number of 5 (Minor), but that's never fully known until it hits Earth. Stronger CMEs can sometimes cause trouble for satellites and create problems with electrical grids by inducing currents as the CME cloud interacts with the magnetic field that surrounds the earth. 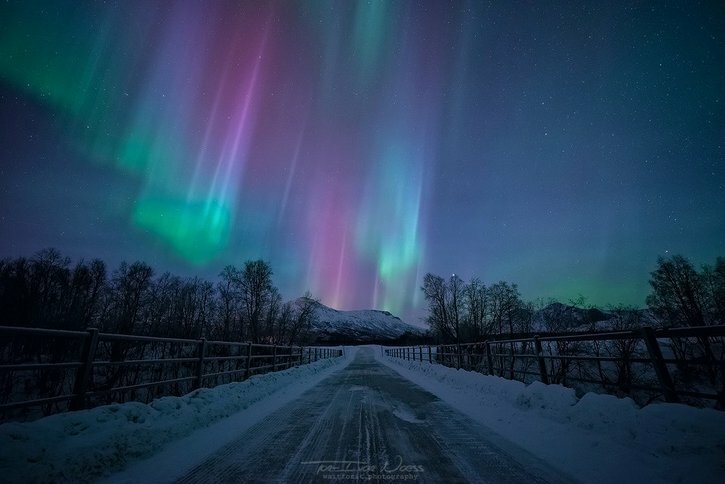 It is this disturbance of the Earth's magnetic field which is the cause of the Northern Lights. NOAA indicates that minor impacts on satellite operations are possible and weak power grid fluctuations may occur.